Image taken from Benjamin Moore’s Colour trends 2019 colour card. 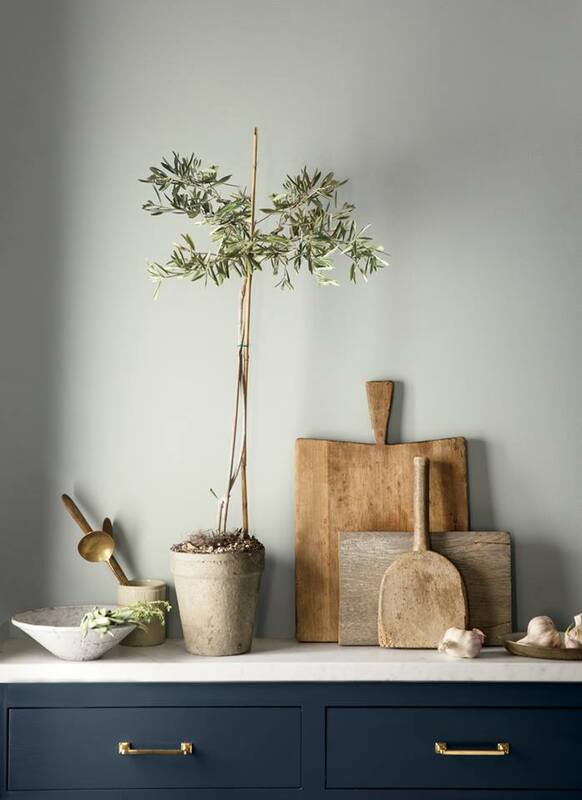 Benjamin Moore have just announced their colour of the year for 2019. This means a lovely new colour card to look through and gain some inspiration. The colour is called ‘Metropolitan’ and I can see this being a very popular choice next year. That said I actually prefer another colour featured in the colour trends 2019 card, ‘Hale Navy’. We have plans for this one at home. From repainting our dining table and chairs, along with the Skirting boards, window sill and, if I can find the time, the Kitchen cupboards. So watch this space. We are currently renovating the conservatory and replacing the roof. Once this is done I can get on with the redecorating. I just hope I can find time to get it all done before Christmas. What do you think of the new colour card? Which is your favourite colour in the palette? Let us know in the comments below or get in touch if you'd like to discuss a future project.